FC Basel Holding AG is expanding its business, and is becoming involved by taking a minority stake in the Indian traditional football club, Chennai City FC (CCFC). The strategic partnership with this top Indian club from a city of seven million is focused on joint training of talent, close cooperation in the area of scouting as well as the development and expansion of junior academies in Southern India. CCFC is currently at the top of the Indian Professional Football League (I-League) – the top Indian league apart from the Indian Super League (ISL). Enthusiasm for sport has been growing in India for years – and football is already one of the most popular sports in the second most populous country in the world. The English Premier League, the Spanish La Liga and the German Bundesliga and, of course, UEFA competitions, are followed very closely in India. FC Basel 1893, thanks to promising potential at many different levels, decided early on to get involved in India, a nation of football enthusiasts, by way of a sustainable partnership. Furthermore, the club made a clear financial commitment, offering interesting opportunities for the future. So FCB, thanks to its stake in CCFC, will benefit from the future proceeds of the club. Its stake is managed via FC Basel Holding AG. Chennai City FC, founded in 1946, is managed by the young and innovative management duo, Rohit Ramesh (president, majority owner) and Krishna Kumar Raghavan (CFO, shareholder). Together with the ISL whose playing season lasts only three months, the I-League is the pinnacle of Indian professional football. Indeed, only I-League winners can qualify annually for participation in the AFC Champions League. In the medium term, the world football association, FIFA, will merge these two leagues. Through cooperation with the 20-times Swiss champion, the current Indian table leader hopes to make a lasting contribution to the continuing development of Indian football. Along the way, the FCB would like to support CCFC as much as possible through a partnership, in particular for young talent. 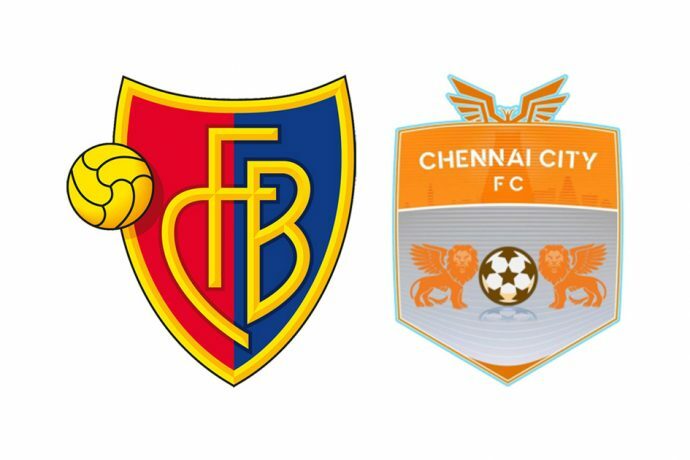 On Wednesday, 6 February 2019, the partnership between Chennai City FC and FC Basel 1893 will be officially announced at a media conference in New Delhi. Participants in the media conference include top leaders of the All India Football Federation (AIFF), the CEO of the I-League as well as several representatives of CCFC and FCB. As a result, the two clubs will decide together on the next steps to take.